Ruth Cohen, DC, a chiropractor in Greenvale, NY, has lived with knee osteoarthritis (OA) for a long time. But the former college gymnast isn't ready for an operation to replace her joint. "I'm always looking to deal with alternative treatments before resorting to drugs or surgery," Cohen says. To ease her symptoms, she's turned to alternative treatments. Some have worked better than others. Strength and balance exercises, for example, have helped. Acupuncture, not so much. How much they do for you may be a matter of trial and error. For some people they can make a huge difference, but not for others. Cohen tried this method but gave up after a few weeks. "To be honest, I didn't get relief," she says. But that doesn't mean you won't. When you get acupuncture, a licensed professional puts thin needles into your body at different points. It's a traditional Chinese form of medicine. There are mixed results from research. Some studies show people feel better after acupuncture, but others show it doesn't make much difference. If you want to try it, look for a licensed practitioner. Give yourself enough time to see if you get any improvement. It may take three or more sessions. The results may last about a month or so. Cohen takes an assortment of supplements to treat her OA, including glucosamine and chondroitin. Neeraj Gupta, MD, an orthopedic surgeon at the Southern California Orthopaedic Center, says a combination of those two supplements is a good idea. He recommends it to all his OA patients. The typical dose is 500-1,500 milligrams a day. "I have personally taken it for my knee for over 5 years," Gupta says. "After stopping for several weeks, I certainly do feel increased pain in my knee joint." But it hasn't been scientifically proven. If you already take glucosamine and chondroitin, it's OK to keep it up. But the American College of Rheumatology doesn't recommend you start taking them to treat your OA. This traditional Chinese form of exercise can strengthen your muscles, help your coordination, and make your joint more stable. If you keep at it, you won't hurt as much in the long run. In one study, people who took tai chi classes twice a week for 12 weeks felt better up to a year later. If you try it, move through poses slowly and gently. Take a one-hour class, 1-2 times a week. Want a relaxing way to reduce your pain and stiffness? Massage may be for you. Massaging your leg loosens the muscles that control your knee. It can improve your "range of motion" -- how far you can bend the joint. That's a key part of cutting down the pain. You might want to consider "Swedish massage." It uses long, gliding strokes across your skin and kneading of your muscles. In a recent study, people who had 1 hour of this kind of therapy, once a week, had the best results. Ask your doctor how to safely do massage on yourself. Or find a qualified therapist who has experience with knee OA. It can boost your range of motion and cut down on pain and swelling, says Ryan Curda, DC, a chiropractor in San Diego. You may need frequent adjustments at first and then drop down to one to two times a month, Curda says. If your knee is red or swollen, your chiropractor won't use direct pressure. Both can help. You might want to try a warm bath. Or put a washcloth soaked in cold water on your knee. "Heat helps loosen knee stiffness," Gupta says. Cold is good if you want to cut down swelling, which sometimes happens after physical therapy. It's got a bunch of benefits. It not only builds up muscle and improves your balance, but it also fights pain, makes you more flexible, and eases your stress. And to top it off, you may sleep better, too. A word of caution, though. Don't overdo it. When Cohen first tried yoga, she felt good. But as she got better, she became a bit too daring and pushed herself too far into postures. Instead of improving her OA, it made her knee hurt more. If you want to try yoga, talk with your doctor first to find out if you have any restrictions. And when you get started, always warm up first and begin each pose slowly. If you feel like you have no control over your pain, it can make it worse, Gupta says. But meditation can boost your mood and help you feel more in charge. You'll hurt less and move around better. You have plenty of options. Try mindful meditation, guided imagery, chanting, or deep breathing. You can meditate alone or join an expert-guided class. No matter what type of alternative treatment you use, always keep up with the therapy your doctor suggests. And check with him before you try anything new. He'll let you know if your knee and overall health are a good fit for your plans. Ruth Cohen, DC, North Shore Chiropractic Health Center, Greenvale, NY. Ryan Curda, DC, Personalized Chiropractic, San Diego. Neeraj Gupta, MD, Southern California Orthopaedic Center. Ringdahl, MD, American Family Physician, June 2011. Arthritis Foundation: "Acupuncture and Osteoarthritis," "Chondroitin Sulfate and Glucosamine Supplements in Osteoarthritis," "Benefits of Massage," "Yoga Benefits for Arthritis," "Ease Arthritis Symptoms With Meditation." 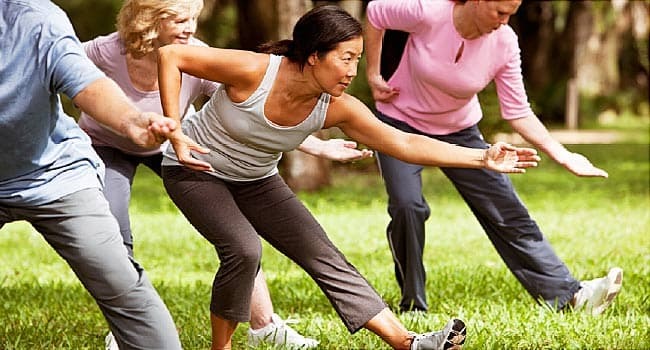 Harvard Health Publications: "Tai chi for osteoarthritis," "New ways to beat osteoarthritis pain,"
Arthritis Foundation: "Acupuncture and Osteoarthritis," "Types of Massage." Johns Hopkins Arthritis Center: "Yoga for Arthritis."